With the onset of the Information Age, our nation is becoming increasingly dependent upon network communications. Computer-based technology is significantly impacting our ability to access, store, and distribute information. Among the most important uses of this technology is electronic commerce: performing financial transactions via electronic information exchanged over telecommunications lines. A key requirement for electronic commerce is the development of secure and efficient electronic payment systems. The need for security is highlighted by the rise of the Internet, which promises to be a leading medium for future electronic commerce. Electronic payment systems come in many forms including digital checks, debit cards, credit cards, and stored value cards. The usual security features for such systems are privacy (protection from eavesdropping), authenticity (provides user identification and message integrity), and no repudiation (prevention of later denying having performed a transaction). The type of electronic payment system focused on in this paper is electronic cash. As the name implies, electronic cash is an attempt to construct an electronic payment system modeled after our paper cash system. Paper cash has such features as being: portable (easily carried), recognizable (as legal tender) hence readily acceptable, transferable (without involvement of the financial network), untraceable (no record of where money is spent), anonymous (no record of who spent the money) and has the ability to make "change." The designers of electronic cash focused on preserving the features of intractability and anonymity. 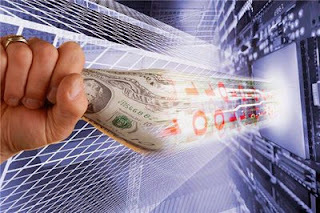 Thus, electronic cash is defined to be an electronic payment system that provides, in addition to the above security features, the properties of user anonymity and payment intractability. In general, electronic cash schemes achieve these security goals via digital signatures. They can be considered the digital analog to a handwritten signature. Digital signatures are based on public key cryptography. In such a cryptosystem, each user has a secret key and a public key. The secret key is used to create a digital signature and the public key is needed to verify the digital signature. To tell who has signed the information (also called the message), one must be certain one knows who owns a given public key. This is the problem of key management, and its solution requires some kind of authentication infrastructure. In addition, the system must have an adequate network and physical security to safeguard the secrecy of the secret keys. This seminar report has surveyed the academic literature for cryptographic techniques for implementing secure electronic cash systems. Several innovative payment schemes providing user anonymity and payment intraceability have been found. Although no particular payment system has been thoroughly analyzed, the cryptography itself appears to be sound and to deliver the promised anonymity. These schemes are far less satisfactory, however, from a law enforcement point of view. In particular, the dangers of money laundering and counterfeiting are potentially far more serious than with paper cash. These problems exist in an electronic payment system, but they are made much worse by the presence of anonymity. Indeed, the widespread use of electronic cash would increase the vulnerability of the national financial system to Information Warfare attacks. We discuss measures to manage these risks; these steps, however, would have the effect of limiting the users' anonymity.